Body Talking releases now “Queen of Hearts”, a causal, playful with a vintage touch… This set of 10 poses is very versatile and allows you to showcase a lot of different themes and outfits. “Queen of Hearts” also has, and will have more with time…, variations at some of the poses to fit better more outfits; only available as single poses at any of our stores. “Queen of Hearts” is perfect for both runway and printwork due to it has the characteristic smooth transitions all Body Talking creations have. You can find and try “Queen of Hearts” at Body Talking Mainstore; or at our satellite store at Maritima Inc. and you can also find the fat packs available in Xstreet! And also, don’t forget, “Queen of Hearts”, as now all Body Talking creations, is X-Poser compatible! “Model ABC” also has, and will have more with time…, variations at some of the poses to fit better more outfits; only available as single poses at any of our stores. “Model ABC” is perfect for both runway and printwork due to it has the characteristic smooth transitions all Body Talking creations have. You can find and try “Model ABC” at Body Talking Mainstore; or at our satellite store at Maritima Inc. and you can also find the fat packs available in Xstreet! And also, don’t forget, “Model ABC”, as now all Body Talking creations, is X-Poser compatible! Summer is almost ending, but days are still warm enough to inspire a brand new set called “Sunny”. This set of 12 poses has been specially designed to showcase a huge variety of outfits, from casual to swimwear; and always remaining fashionable. 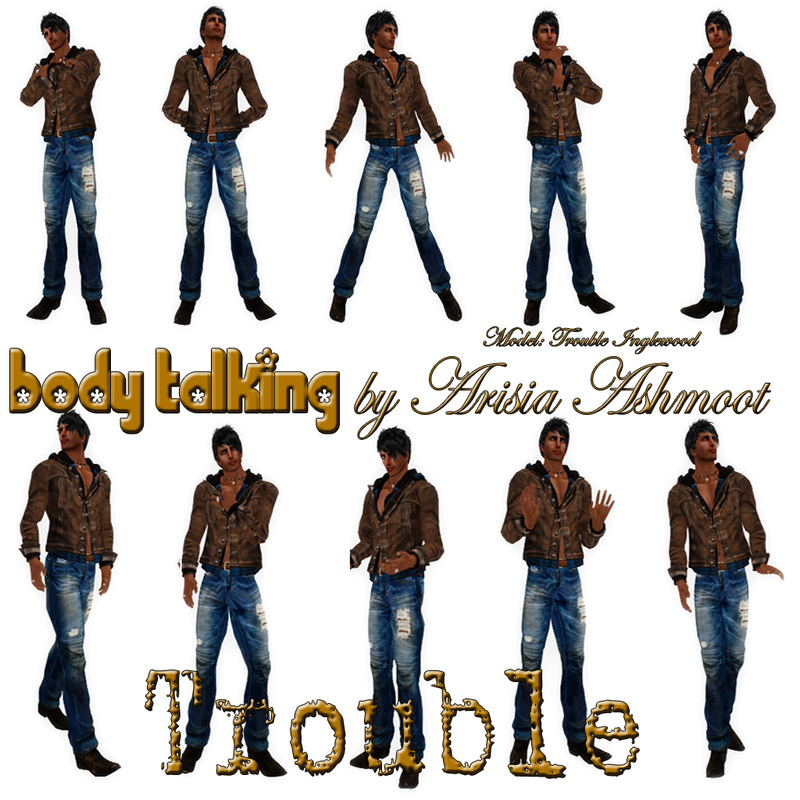 Body Talking has also created variations of some of the poses, avaliable as always as single items, to better fit more outfits! All poses have the caracteristic smooth transitions Body Talking‘s creations have; which makes Sunny perfect for both runway or photoshots. You can try “Sunny” at both our brand new mainstore, Body Talking Mainstore; or at our satelite store at Maritima Inc. and you can also find the fat packs avaliable in Xstreet! And also, dont forget, Sunny, as now all Body Talking creations, is X-Poser compatible!